Yellowstone National Park – This morning, a press release issued on Facebook by an emerging group, Wild Buffalo Defense, revealed that two members of Wild Buffalo Defense locked down inside Yellowstone National Park’s highly controversial Stephens Creek buffalo trap. The individuals secured themselves to “The Silencer,” the squeeze chute that holds wild buffalo for testing and other invasive procedures, before they are shipped off to slaughter facilities. In a press release dated February 22, Yellowstone’s Superintendent Dan Wenk stated that targeting the Stephens Creek trap to release imprisoned buffalo was a “setback for bison conservation,” and suggested that quarantine is a “beneficial” tool to restoring bison onto tribal lands. However, there is already evidence that wild buffalo have been exploited and commercialized through the quarantine process, and under Yellowstone’s proposed 50-year quarantine plan, it is likely to happen again. 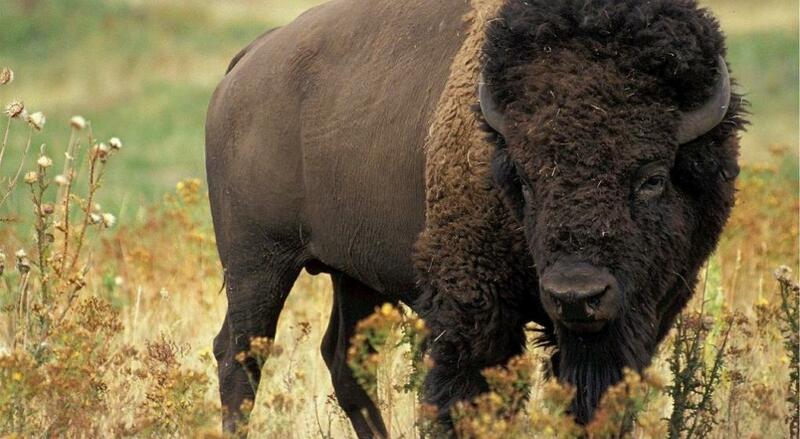 In fact, the first quarantined bison were transferred to Ted Turner who has been managing them – according to www.turnerbisonexchange.com – for “optimum economic production” and selling them at auction at prices of $11,000-$42,500. This underscores the fact that quarantined buffalo could end up in the hands of a private, for profit entity, not just tribes. Buffalo Field Campaign’s petition (PDF) to list the Yellowstone bison under the Endangered Species Act, and our report requesting that the U.S. Forest Service list bison as a Species of Conservation Concern (PDF) on national forest lands, clearly show that both capture for slaughter and quarantine are a serious detriment to this last wild population, and also harmfully intrudes upon the numerous Tribes who hold treaty rights in the Greater Yellowstone. Wild Buffalo Defense’s press release shared words from the other individual who put his own life at risk, “They say they need to kill the [buffalo] to stop the spread of brucellosis, but the wild elk have brucellosis, and they’re allowed to roam free because the cattle industry is not worried about elk competing for grass and the state receives income from the elk hunting permits,” said Thom Brown, a former volunteer with Buffalo Field Campaign. Yellowstone National Park claims that they are forced to undertake current bison management schemes by court order. However, as signatories to the Interagency Bison Management Plan, Yellowstone or any agency, can issue a 30-day written notice (PDF) to terminate the already expired Plan. Buffalo Field Campaign has submitted an alternative plan (PDF) to Montana and Yellowstone that respects wild bison like wild elk in Montana. Yellowstone also claims that they engage in such highly controversial management tactics due to Montana’s intolerance for wild buffalo, a statement which is grossly misleading. Brucellosis is often used as the excuse for Yellowstone and Montana’s extreme and abusive bison management actions, yet there has never been a documented case of wild bison to cattle transmission since the arrival of invasive cattle to this continent. Cattle first introduced brucellosis to North American wildlife populations, and elk in the Greater Yellowstone region have also been exposed, but, more importantly, elk have been blamed numerous times for transmitting the livestock disease back to cattle, without consequence. West Yellowstone, Montana-based Buffalo Field Campaign is a non-profit public interest organization founded in 1997 to protect the natural habitat of wild migratory buffalo and native wildlife, stop the slaughter of Americas last wild buffalo and advocate for their lasting protection, and work with people of all nations to honor the sacredness of wild bison. BFC runs daily field patrols and monitors buffalo migration and documents all actions made against them. BFC is the only group working in the field, the courts, and policy arena, every day, on behalf of the country’s last wild migratory buffalo, who is also our National Mammal. For more information visit www.BuffaloFieldCampaign.org.